Bratislava, March 24 (TASR) – As many as 37 percent of Slovak drivers forget to fasten their safety belts compared to the EU average of 22 percent, TASR learnt on Thursday. The poll was carried out by the VINCI Autoroutes Foundation in cooperation with the IPSOS Foundation in order to shed some more light on drivers‘ behaviour in 11 EU-member countries. IPSOS launched the ‚European Barometer on Responsible Driving‘ project six years ago and managed to compile the data within three years. The results show that 83 percent of Slovak drivers conceded the possibility of exceeding the speed limit by several kilometres per hour, while the EU average was 90 percent. When it came to keeping a safe distance between vehicles, 63 percent of Slovaks confessed to not doing so. Around 50 percent of Slovak respondents stated they forget to slow down near areas indicating a work in progress, while it’s 53 percent on the EU average. Similar numbers popped up in terms of drivers forgetting to turn on the direction indicators when changing lanes or overpassing another car – 45 percent in Slovakia and 53 percent in the remaining countries. The research also delved into rude behaviour behind the steering wheel. Approximately 48 percent of Slovak drivers honk inappropriately, while 44 percent swear at other drivers, compared to EU average of 47 and 54 percent, respectively. More than one fifth of Slovaks step out of the vehicle to explain a particular situation with the other driver (EU average – 16 percent) and 17 percent try to pass other cars on the motorway from the right side (EU – 30 percent). About half of Slovaks admitted telephoning without a hands-free device while driving, compared to 32 percent on average. This result puts them among the most reckless drivers – with the Greeks being the worst offenders on 55 percent. 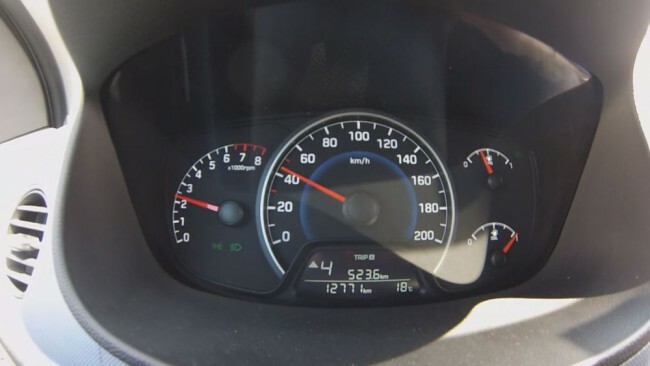 Just as frightening is the confession that 27 percent of Slovak drivers send text messages and emails while driving (EU – 25 percent) and 34 percent set GPS parametres while on the road (EU – 37 percent). Drowsiness behind the wheel is a very common phenomenon and 29 percent of Slovaks think they can drive despite being tired. They also think that sleepiness can be fought off by talking to your passenger (91 percent), listening to the radio (74 percent) or by opening the window (65 percent). Almost one third of Slovaks admitted falling to microsleep at least once, while 17 percent conceded passing to the shoulder of the road or to the safety fences due to fatigue or momentary distraction. Speaking of longer road trips, Slovak drivers take a break after three hours and 18 minutes of driving on average, which is high above the recommended two hours. These are predominantly drivers hitting the road at night (77 percent).